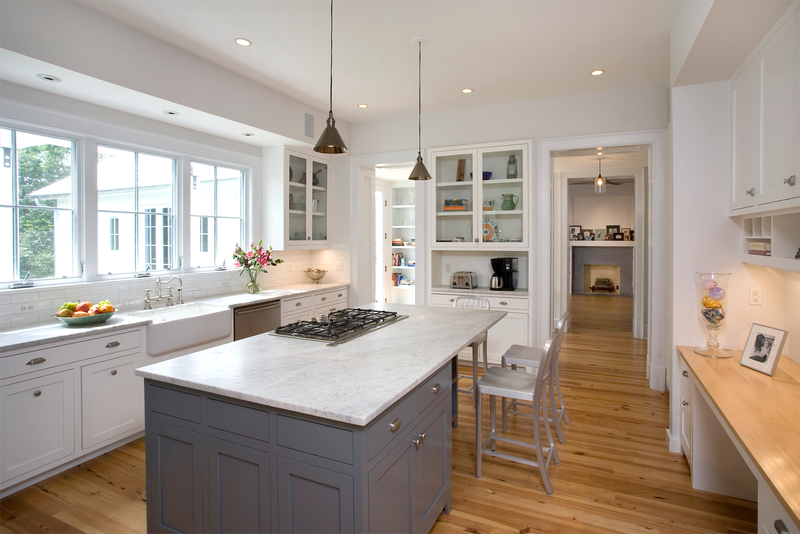 Spacious kitchen with a traditional look but modern painted cabinets and counters. 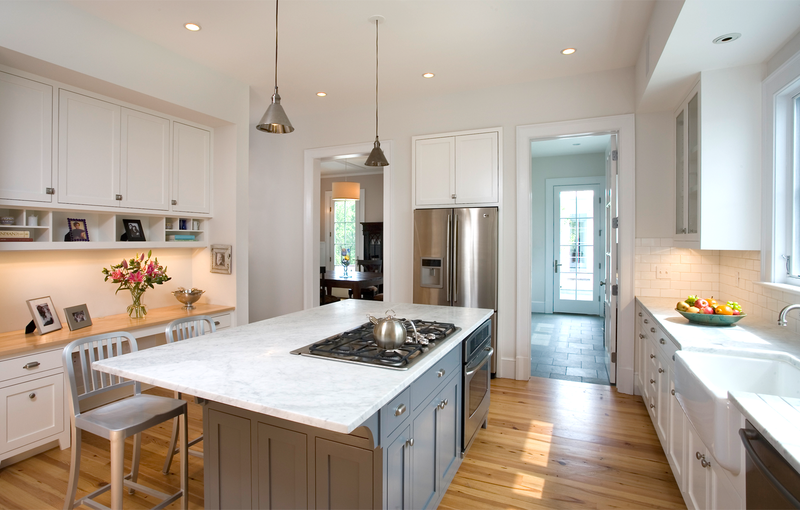 The kitchen features a farm sink and island cooktop with inset cabinet doors and drawer fronts. 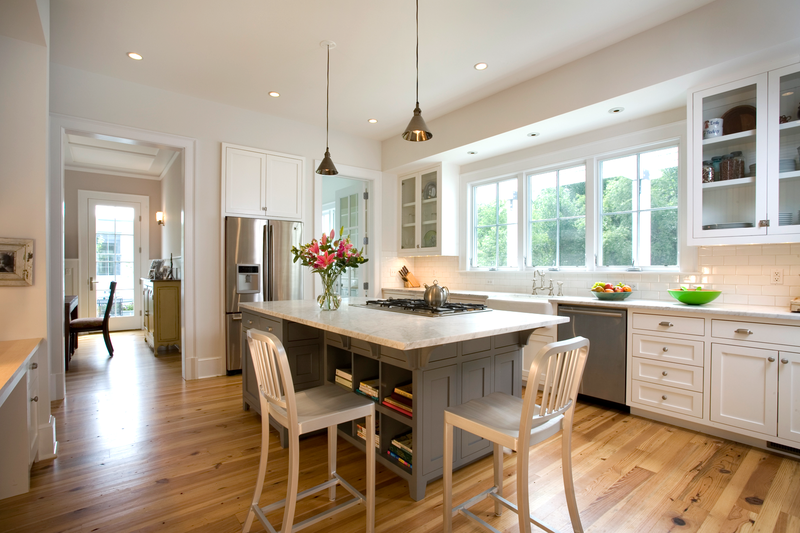 The desk and seating at the island make this a versatile space for this young family.